The Washington Post pretty much “broke” the “scandal” involving Jeff Sessions’s “non-disclosure” of a meeting (while Chairman of the Armed Services Committee) with the Russian Ambassador to the U.S.—in other words, for doing his job. You can also make a case that The Washington Post was performing its job when it hired a correspondent with close family links to a terror-sponsoring Stalinist regime that burglarized, tortured and murdered U.S. citizens, that top military counter-intelligence officer Chris Simmons calls “Intelligence Trafficker to the World”-- and that pulled off the deepest and most damaging penetration of the U.S. Defense Department in recent history. All we ask is full-disclosure on these links. You see, amigos: The Washington Post’s Latin American correspondent Nick Miroff is married to an apparatchik of the Castro regime named Camila Harnecker. She is the daughter of the founder of the Castro regime’s military intelligence (G-2) apparatus. This notorious KGB-protégé, Che Guevara-chum and Stalinist torturer was named Manuel “Barbarroja” (Red Beard) Pineiro. Significantly, at the time of its founding in 1959, Castro’s G-2 was under the close tutelage of Soviet GRU torturers who had interned with the masters themselves, Stalin and Beria. “Barbarroja’s” wife (the WaPo reporter’s mother-in-law) is Maria Marta Harnecker Cerda, a Chilean Communist who worked for Salvador Allende and scurried to Stalinist Cuba upon Augusto Pinochet’s (just-in-time!) liberation of Chile. For years Manuel “Barbarroja” Pineiro served for the Castros exactly as Yezhov, Yagoda and Beria served for Stalin–as director of mass-murder and torture. A couple years ago The Washington Post ran an “in-depth” article (by Nick Miroff) on an islet off the southwestern coast of Cuba called The Isle of Pines which hosted the biggest prison/torture and forced-labor complex for political prisoners in the history of the Western world. Tens of thousands of American citizens of Cuban heritage had family members tortured there by Castro’s Stalinist regime. Many had family members murdered there. Furthermore, several of these prisoners are black Cubans who suffered longer in Castro’s prisons than Nelson Mandela spent in South Africa’s (27 years.) Their inspirational stories of survival against unimaginable odds during multi-decade terms of forced-labor and torture in Castro’s Gulag all began at the Isle of Pines’ Presidio Modelo prison and torture-complex. 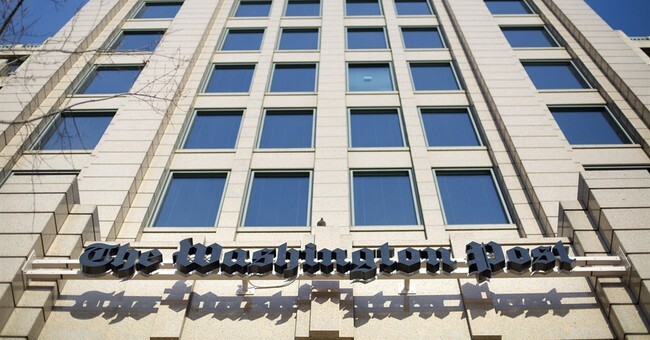 Over the years WaPo itself has run a veritable library-full of stories canonizing Nelson Mandela and demonizing his jailers. Alas! Except for the Cuban-American readers of the WaPo’s “in-depth” story by Nick Miroff, no reader would have guessed any of the above regarding this notorious prison torture-complex. Gosh. Wonder why? Maybe because most of the victims were sent to Cuba’s Isle of Pines prison/torture/ forced-labor complex on the orders of the man (Manuel “Barbarroja” Pineiro) who would have become father-in-law to the Washington Post’s Nick Miroff, the author of the story on the Isle of Pines, whose wife (Camila Harnecker Pineiro) and mother-in-law remain active apparatchiks of Cuba’s Stalinist regime. Another story on which the Washington Post’s Nick Miroff (given his family connections) could greatly enlighten “deplorable” Americans is how Castro’s military intelligence tortured American POWs to death in North Vietnam. You see, amigos: In 1967 the Castro regime –unable to get their hands on any defenseless Americans to torture and murder at home– sent several of their top torturers to North Vietnam, where defenseless Americans were abundantly available. Testimony during Congressional hearings titled, “The Cuban Torture Program; Torture of American Prisoners by Cuban Agents” held on November 1999 provide some of the harrowing details. The communists titled their torture program “the Cuba Project,” and it took place during ‘67-‘68 primarily at the Cu Loc POW camp (also known as “The Zoo”) on the southwestern edge of Hanoi. In brief, this “Cuba Project” was a Joseph Mengelese experiment run by Cuban military “interrogation specialists” to determine how much physical and psychological agony a human can endure before cracking. Considering that Manuel “Barbarroja” Pineiro headed Cuba’s military Intelligence at the time of this torture program against U.S. POWs we have to think he was heavily involved—if not the mastermind himself from his base in Cuba. Sojust think of thefascinating “tell-all” the daughter of this torture – terror chieftain could provide American readers via a little “pillow-talk” to her husband!